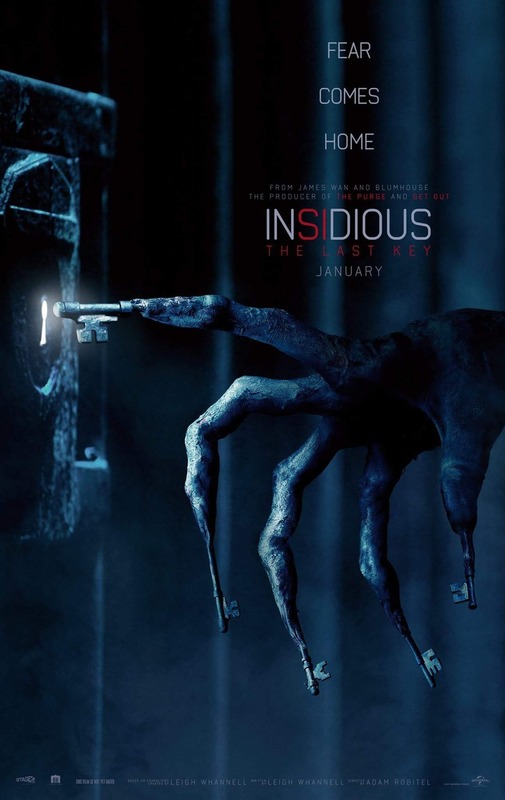 Insidious: The Last Key DVD and Blu-ray release date was set for April 3, 2018 and available on Digital HD from Amazon Video and iTunes on March 20, 2018. There's nothing like a haunting that gets up close and personal. Although Dr. Elise Rainier is no stranger to the paranormal, she is almost devastated when a supernatural experience reaches out from the darkness and touches the depths of her soul. In order to survive, she will need to rally all of the strength that she can possibly muster. But with forces beyond her control closing in, it's anyone's guess if she will be able to get through this ghostly obstacle.